The comment indicators are displayed in the cells when you insert the comment. 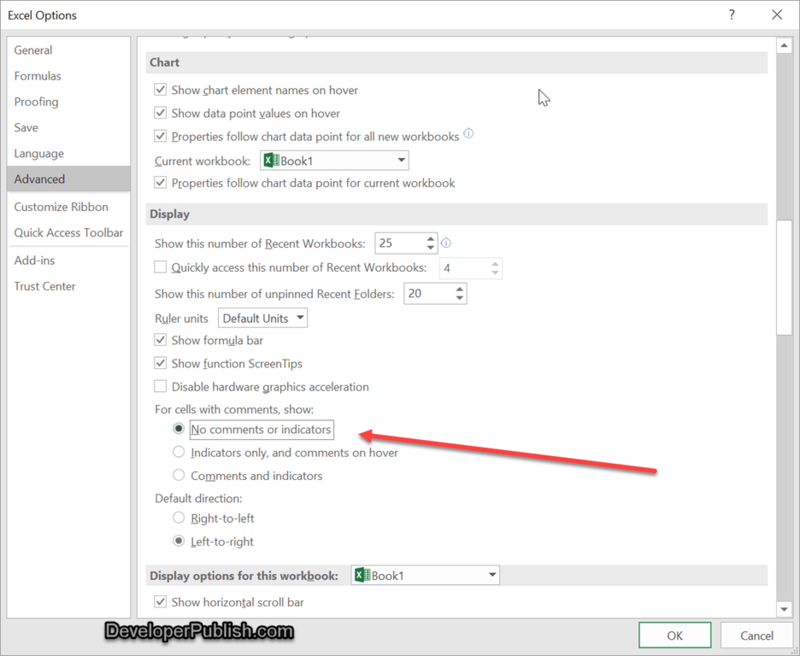 If you need to hide the comment indicators in Microsoft Excel 2016 , you can do it easily using the Excel Options. 1. Navigate to File -> Options to display the Excel Options Dialog. 2. In the Excel Options Dialog, click “Advanced” from the left sidebar and scroll to the Display Section in the content pane. Select “No comments or indicators” radio button under the “For cells with comments,show:” and click OK button.